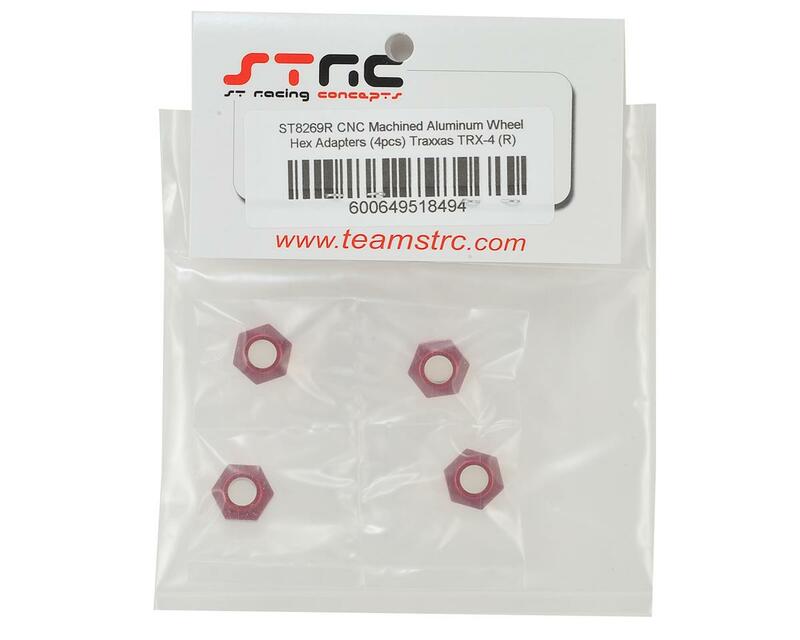 STRC Traxxas TRX-4 Aluminum Wheel Hex Adapters are machined aluminum upgrades that replace the stock Traxxas hexes (TRA8269). These optional upgrades provide a more solid contact at the wheel hub and are less prone to strip or round off the wheel hex. 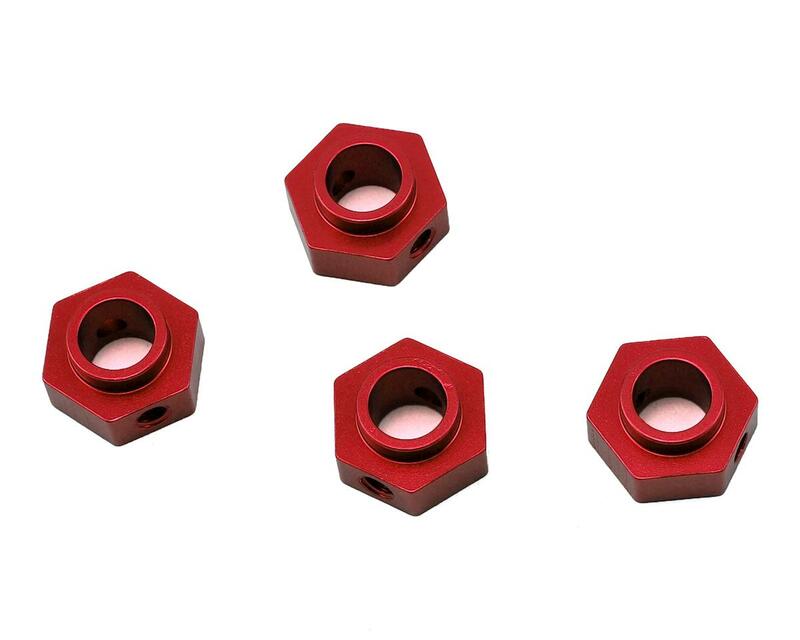 Plus, they are available in a variety of colors to make your TRX-4 more unique.